I’m finally starting to go through all my pictures from the East African safari and instead of feeling overwhelmed, I’m enjoying the process. 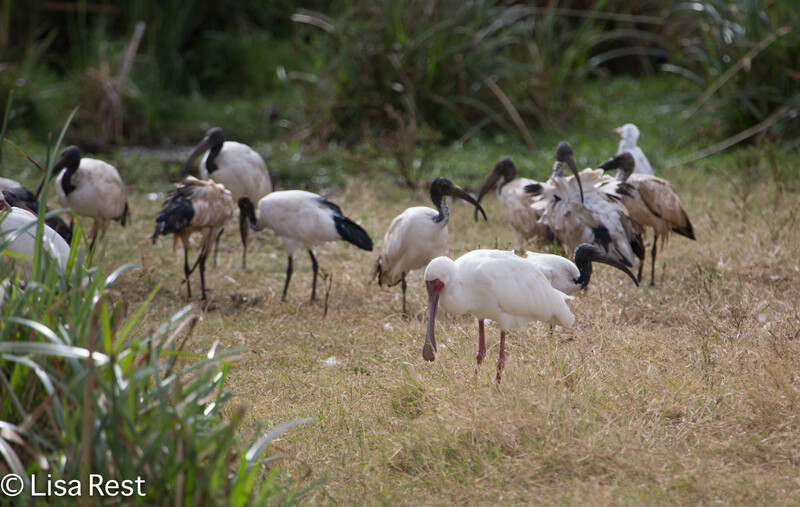 I’m also surprised at how many species I still remember. Two weeks in Central Standard Time has not totally wiped away the experience. 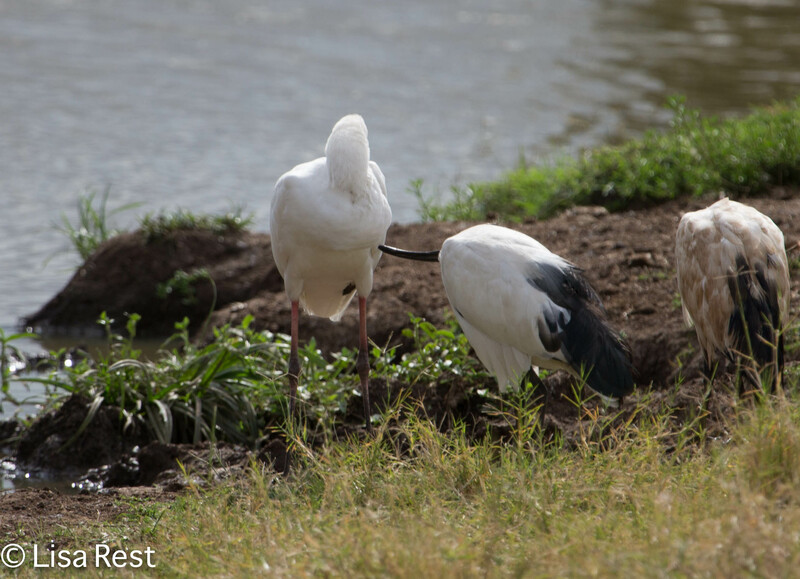 Allopreening in birds has always fascinated me. I’m sure it’s related to grooming in primates, which I think some propose led to the human behaviors of smiling, laughing and talking. It’s definitely a social, bonding function. For instance I have two surviving healthy budgies who would never have had anything to do with each other until it became apparent to both of them that they were It, and in addition to keeping each other company, they now engage in allopreening more and more, and it’s lovely to see. 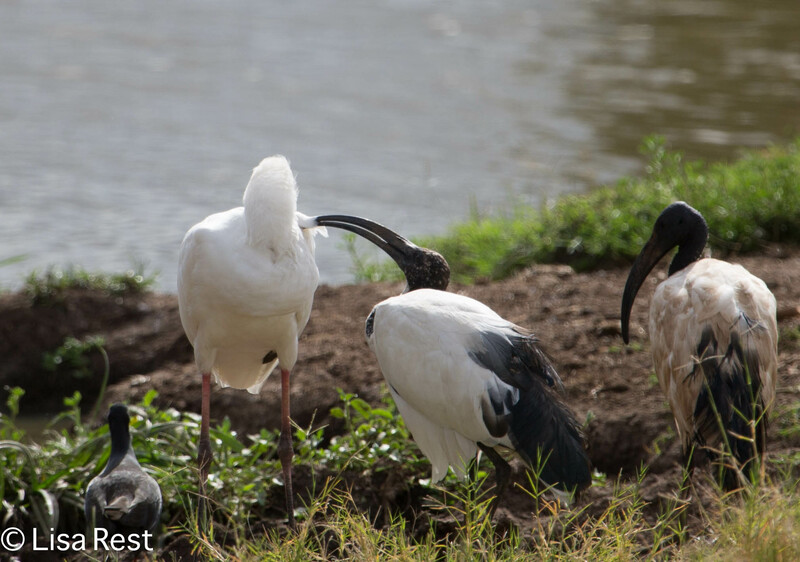 On the second day in Tanzania when we stopped to look at some shorebirds, spoonbills, ibises and herons, I could not help but notice an unusual instance of interspecies allopreening, namely a Sacred Ibis preening a bent-over African Spoonbill. I don’t know if I pay more attention to this kind of behavior because I live with birds, but I suspect that might be why it came up on my radar. 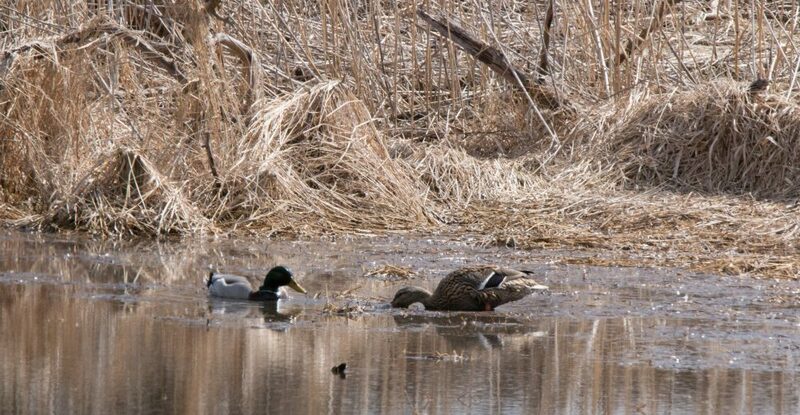 This is an extraordinary amount of cooperation, and I only have to wonder what precipitated it…that silent, unspoken world of communication that birds are so much better at than we are. It then occurred to me that I could also get a video clip, and so there is a short one below. 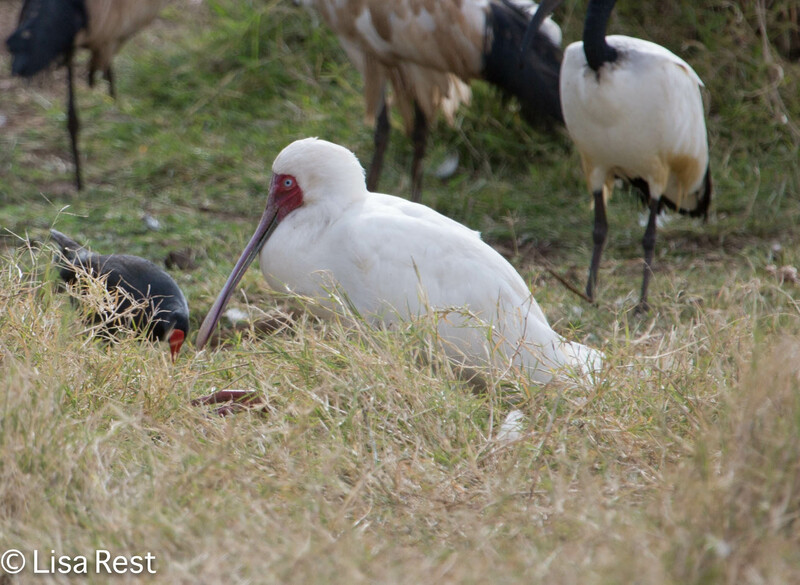 This entry was posted in bird love, birds, communication, interspecies communication and tagged African Spoonbill, allopreening, interspecies allopreening, Sacred Ibis, Tanzania by Lisa Rest. Bookmark the permalink. Fascinating video. I wonder if anything like this happens with different species of primates. Of course I guess you could point to all the grooming that people do of dogs, cats, horses, etc! But that is not necessarily a mutually consensual activity.